I’ve always got fresh flowers in my home. I always have and hopefully always will. It’s just one of my signatures. I don’t even need fancy flowers or arrangements. Sometimes it’s just little sweet williams or sometimes it’s enormous gladioli that my florist sources for me (seriously, they’re huge!). 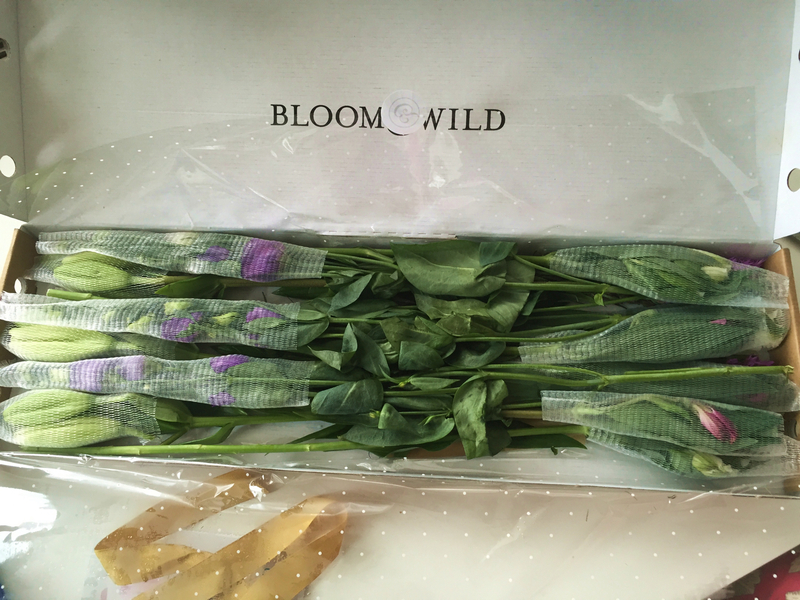 When I came across Bloom & Wild on twitter, I thought, what a great idea, a subscription service for fresh flowers that arrive regularly through the letterbox. Bang! Great idea! 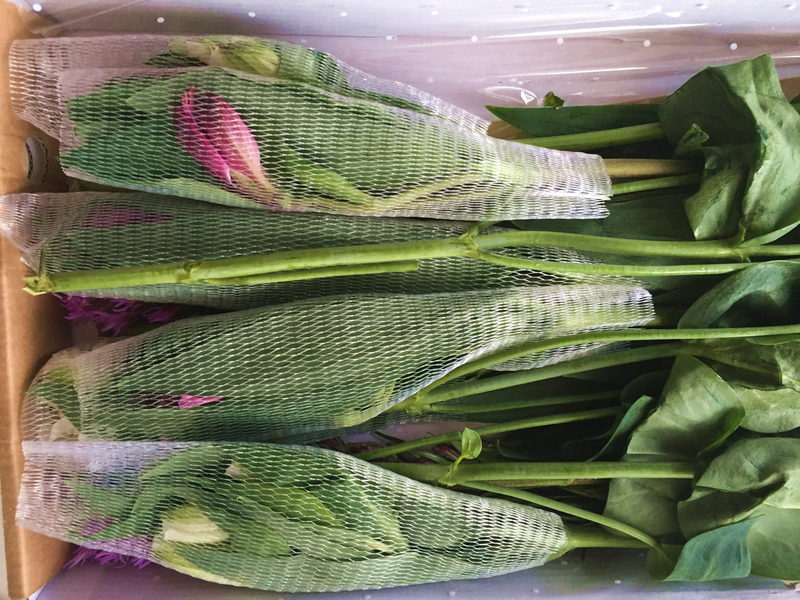 I sent them a tweet to say hi and they generously sent me a box of flowers through the letterbox. The box is the magic bit here, it’s designed to fit through your letterbox. So you don’t need to be in to receive flowers like you would from your florist. 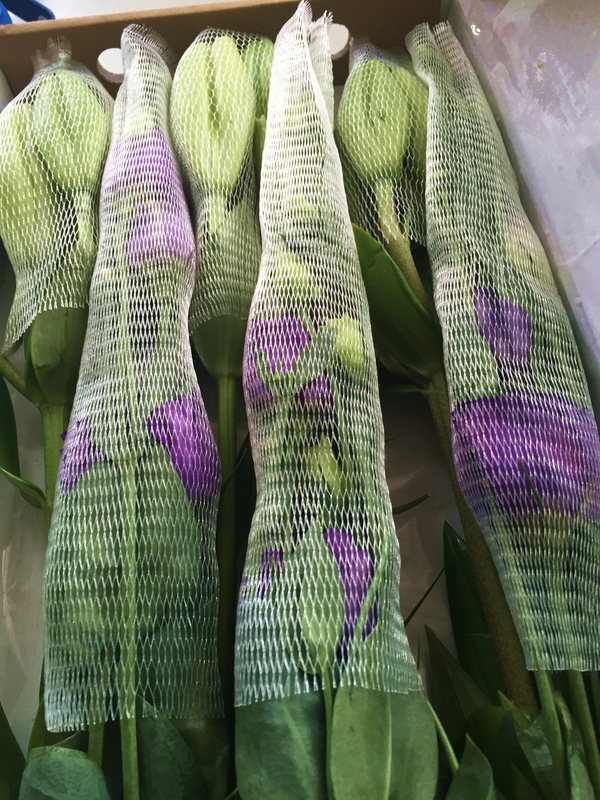 Each bloom is wrapped up carefully to protect it. 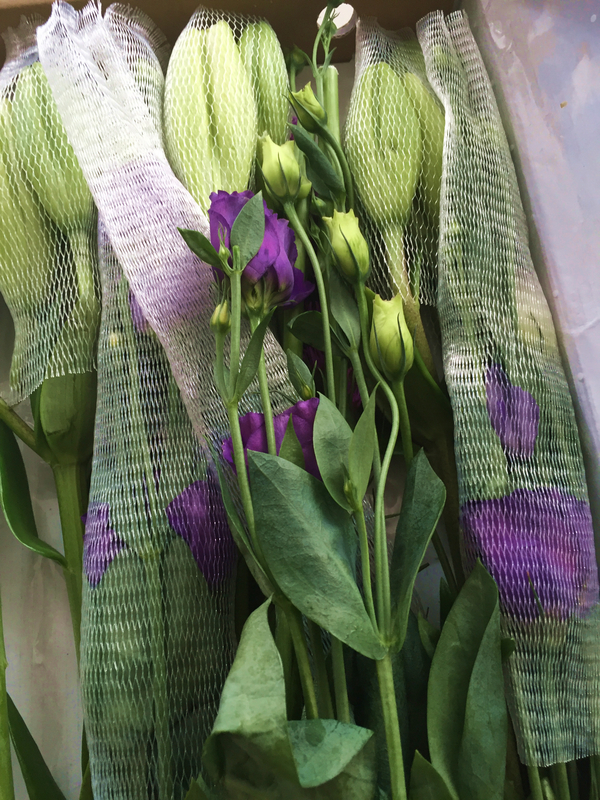 All you need to do is pull off the protective layer around each bloom and voila, a beautiful fresh bouquet of flowers. You can see from the images below just how well protected the flowers are. 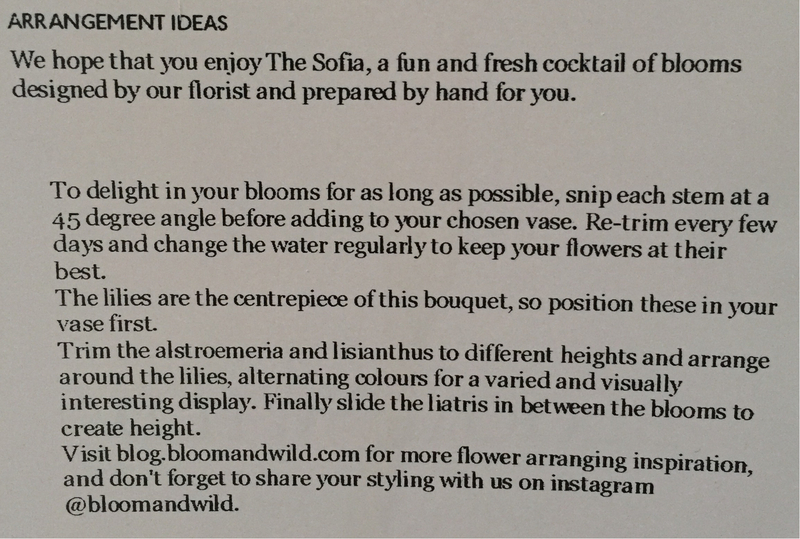 The clever team at Bloom & Wild even give you tips on how to care for and arrange your flowers so that you can get the best out of them. Here’s the finished product, now please don’t judge me on my floristry skills. But I think they look great. It’s also worth noting that there are a lot of buds in this bouquet, which means that I (and you when you order) am going to have days of blooms to come. 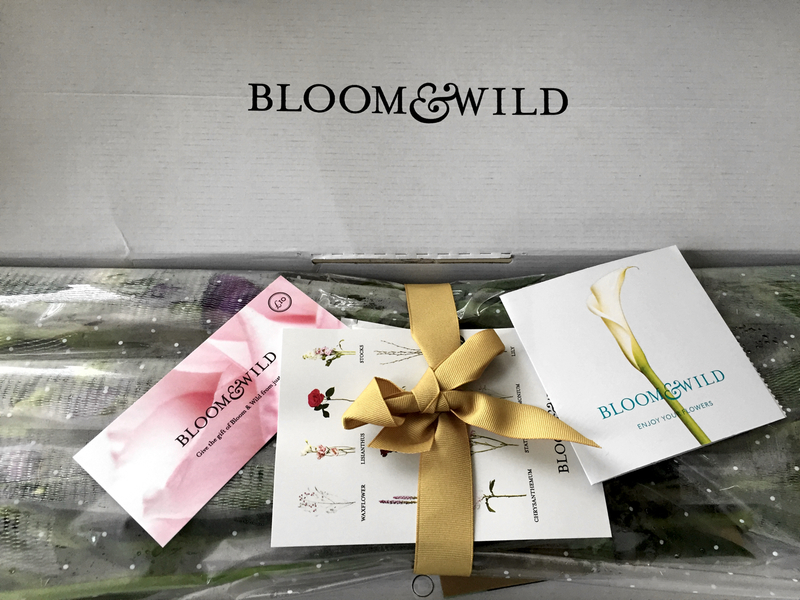 Bloom & Wild’s subscription service will deliver flowers weekly, fortnightly or monthly and they will be delivered on the same day each month. So you can ensure that you have fresh flowers all year round. 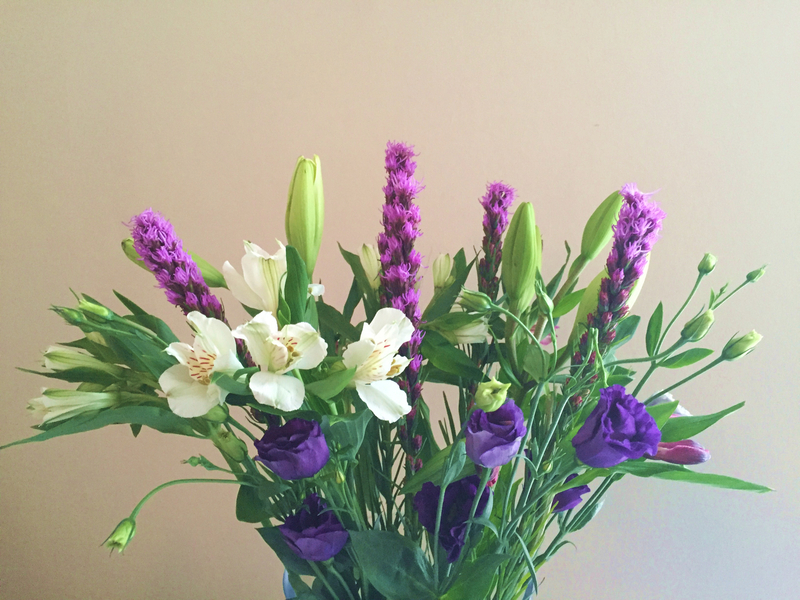 You can order one off boxes of flowers too, which is a lovely present to send someone to cheer them up. Before you go on to order your subscription with Bloom & Wild, I wanted to share this with you. A quote printed on the bottom of the box, they really do think of everything. 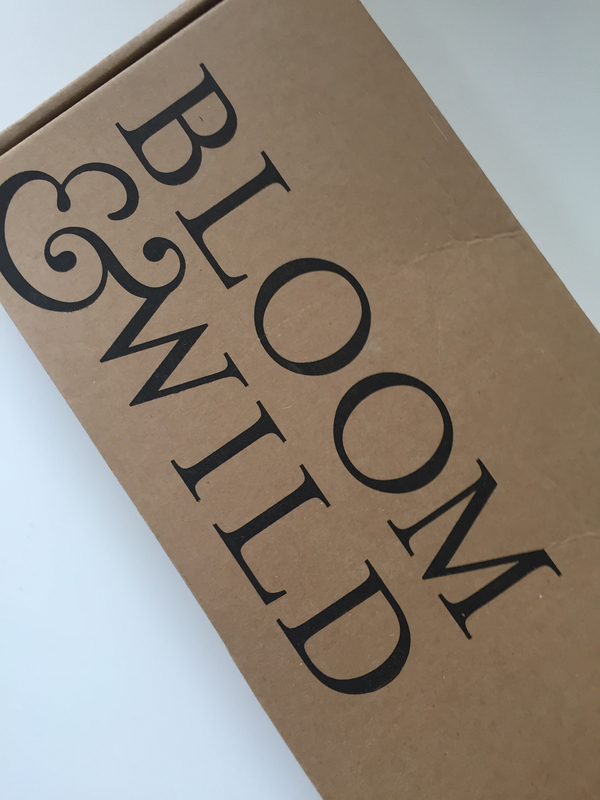 The packaging is great, and a subscription to Bloom & Wild would make someone very happy. All my readers can get a 15% discount on their order, just use the code ‘STYLEBLOOMS’ when you check out.